Put 42 pieces together to assemble Eric Carle's much-loved The Very Hungry Caterpillar jigsaw puzzle from Mudpuppy. Be sure to read the book with your child, too. Keep the little ones amused and laughing with these Very Hungry Caterpillar bubble pots. Perfect for adding life to any party or fun afternoon! The pack contains 6 pots of bubbles & wands, featuring two different designs, one with a vibrant rainbow, and the other with a big, bright, multi-colored beautiful butterfly. These bubble pots are the perfect filler for the Very Hungry Caterpillar Party Favor Bags. 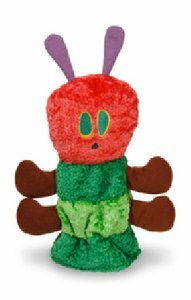 Enjoy the special edition plush and print set to commemorate the 50th anniversary of The Very Hungry Caterpillar. 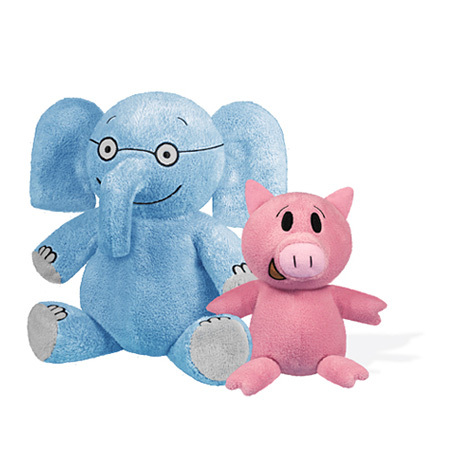 Soft and huggable, each limited edition 50th Birthday plush doll is numbered and arrives with a commemorative Eric Carle print. Caterpillar plush is 14" long; machine washable. Welcome explorers, investigators, and lovers of knowledge! 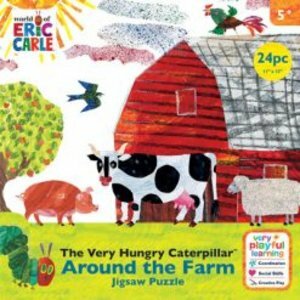 Be inspired by the diversity and inventiveness of the United States with this charming matching game featuring the people, animals, foods, inventions, and landmarks that symbolize the unique heritage of each American state. From the wild ponies of Maryland's Assateague Island to the Arizona birthplace of Sandra Day O'Connor, the first woman on the Supreme Court, kids will love learning about the 50 states from coast to coast. From Rock Point's much-loved 50 States series, The 50 States Matching Game is perfect for toddlers developing new vocabulary, as well as for older kids learning about the history, people, and culture of the United States of America. The birthplace of Rosa Parks and the bus boycotts that served as a turning point in the fight for equality. The location of Fallingwater, the famous house built by architect Frank Lloyd Wright. More than 40 varieties of peaches. The home of the world's most active volcano. The birthplace of Sacajawea, guide for Lewis and Clark. The place where the first commercially successful typewriter was invented. 102 matching cards (51 pairs) covering each of the 50 states plus Washington, DC. 9 x 9 learning card that gives a fun fact about the image featured on the state matching card, plus the date and order of statehood. Celebrate, explore, and enjoy the 50 states with The 50 States Matching Game. Here is Ada Twist, the questioning, observing, hypothesizing heroine of the bestselling book, Ada Twist, Scientist by Andrea Beaty and David Roberts. This soft doll, dressed in a brightly colored and removable dress, trendy knee-socks and t-strap shoes, is the perfect companion for any little scientist who is ready to try to figure out the world. What mystery will she puzzle over next? Safe for all ages. Plush doll measures 11" tall. Lace the stars together to create 10 familiar animal constellations--then, turn out the lights to reveal the glow-in-the-dark animal formed by the stars! 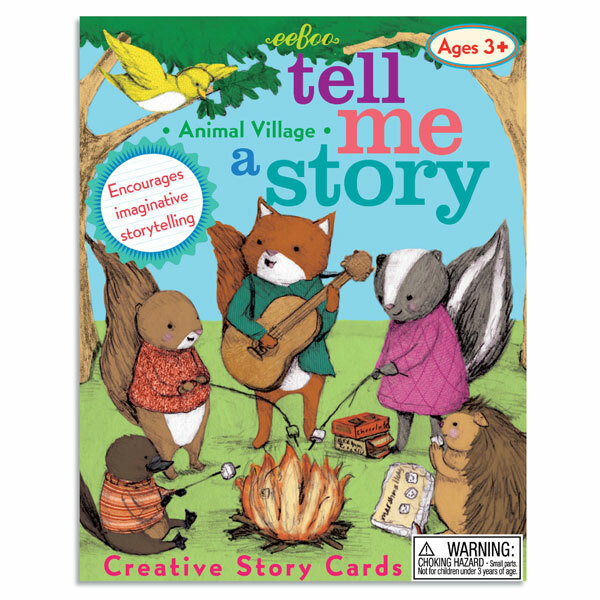 From the Great Bear (Ursa Major) to the winged horse Pegasus, these durable lacing cards encourage hand-eye coordination and actively engage muscle memory through hands-on, tactile learning. Memorize the shapes of the constellations, the names of their brightest stars, and the mythology behind each constellation, before going outside to view them in the real-life night sky! 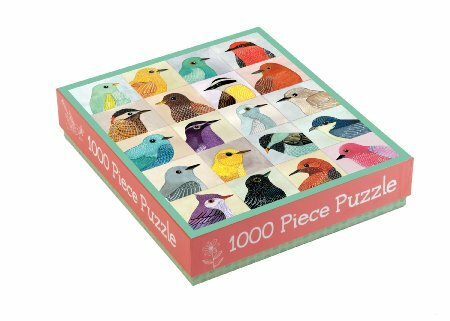 Gennine D. Zlatkis illustrated 20 colorful birds for this Avian Friends 1000 Piece Puzzle. The pieces are packaged in an easy-to-giftwrap sturdy rectangular box and includes a poem by Jennifer Bartlett. Finished puzzle measures 20 x 27"
Gennine D. Zlatkis illustrated 20 colorful birds for Galison's Avian Friends 1000 Piece Puzzle. The pieces are packaged in an easy-to-giftwrap sturdy rectangular box and includes a poem by Jennifer Bartlett. Behold the saga of Baba Yaga! Use spells, potions, and a bit of luck to capture the legendary sorceress. Summon an enchanted owl or a plucky pelican to help you, but only if you can concoct the proper potions first. Think strategically and stay alert, because the card game could end at any moment! Get the lowest score and conjure up a win! For those who don't recognize the title, Baba Yaga is a legendary character from Slavic folklore. There is much debate surrounding both the origins of the name as well as the details of tale, but by all accounts it is a colorful story full of many twists and turns. Inventor Itay Ben Ari captured the essence of its mystical origin in this cleverly designed card game, concocted with the perfect combination of elements - chance, strategy, and surprise. Artist Dima Je's bold illustrations punctuate a sense of other-worldly enchantment. We hope you can feel a part of the magic as you play! Babar's classic style is reflected in the embroidered and appliqued green suit, with black buttons and bright white shirt for which he is recognized. With his classic felt crown and red satin bow tie, this elegant elephant reigns supreme. All hail Babar! This sensational Babar is sure to wow and delight, perfect to snuggle up with and read one or many celebrated Babar books! Babar is 9.25"
Full of new life and renewal this spring, this baby lop-eared rabbit is the pick of the litter. 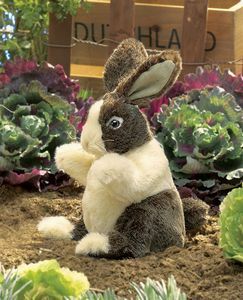 Animate the mouth and front paws of this cuddle bunny as you stroke and soothe its super soft coat. 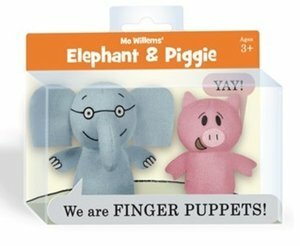 Make this puppet yours before it hops away!